Underwear for boys - Underwunder - Special underwear. Feel good. Feel safe. Sale for set with blue slip with logo elastic! Very cool boxer shorts with a secret absorption layer that only you and we know about. No one will see from the outside that these are much more than just cool underwear. Price per boxer. Great looking boxer shorts with a secret absorption layer that only you and we know about. No one will see from the outside that these are much more than just great looking underwear. Price per boxer. Great looking boxer shorts with a secret absorption layer that only you and we know about. No one wil see from the outside that these are much more than just great underwear. Price per boxer. No one will be able to see that these cool boxer are much more than just great looking underwear. Extra saving when purchasing 2 pairs of these boxers. No one will be able to see that these cool boxers are much more than just great looking underwear. The white boxers have a white elastic waistband with blue star motif. Just as cool as boxers should be. Price per set of 2 boxers. 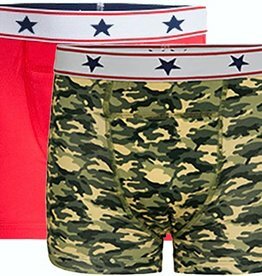 No one will be able to see that these cool boxers are much more than just great looking underwear. The red boxers have a white elastic waistband with blue star motif. Just as cool as boxers should be. Price per set of 2 boxers. 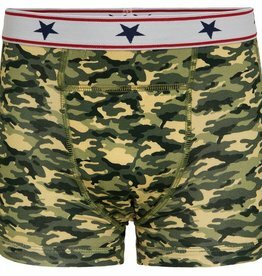 No one will be able to see that these cool boxers are much more than just great looking underwear. The grey boxers have a white elastic waistband with blue star motif. Just as cool as boxers should be. Price per set of 2 boxers. 3 cool boxers at a very competitive price! 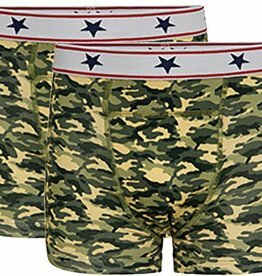 No one will be able to tell that there is something special about your underwear, Set includes 3 pairs of boxers in white, red and camouflage print. This promotional price applies for 3 pieces!